The Remingtons are a series of stand-alone romances that may also be enjoyed as part of the larger series. Touched by Love is a USA Today best seller. Fiercely independent Janie Jansen has always believed there were worse things in life than being blind, and she's spent her life proving it. She's moved away from her overprotective parents and built a life in New York City and is one of the top technical editors in her company. That is until an unfortunate accident turns her life upside down and she's forced to give up the very independence she's worked so hard to achieve. Firefighter Boyd Hudson pushed past his tragic past and is weeks away from accomplishing his ultimate dream - being accepted into medical school. His intense focus on his goal while working three jobs has taken its toll. With a trail of failed relationships behind him, Boyd is painstakingly aware of his limitations and avoids girlfriends completely - a difficult task given his attraction to one of his coworkers. I loved listening to Touched by Love! How can you not love a book that features the Remingtons? 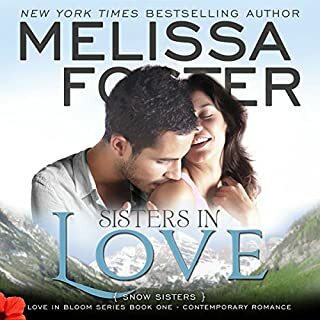 Melissa Foster did it again! This is the story of Boyd and Janie. Janie is blind and falls off the subway platform. Who comes to her rescue and saves her life, Boyd of course. He goes to the ER with her and in the process falls in love. Boyd is caring, lovable and hunky. It is just a wonderful book to listen to from start to finish. I love the way that their relationship builds, even though there were sparks from the beginning. B.J. Harrison is a wonderful narrator. The way he speaks, you can just picture the layout right in front of you!! Great job Melissa and B.J!! Could not put it down. Great job AGAIN Melissa.. I LOVED listening to this story after having already read it...and what can I say about Janie and Boyd other than...WOW!! What a beautiful story between two people who have more in common than what they first believe. Boyd is tortured from the loss of his parents years earlier, where he suffered externally, as well as internally. It took everything within him to allow Janie to see the real him. But his overprotective ways cause tension in their perfect relationship. Janie is fiercely independent, despite her blindness. She doesn't let that stop her from doing anything she wants to in order to move on with her life. She doesn't want ANYONE to treat her differently because of the simple fact that she cant see. She's comfortable with Boyd and what their relationship makes her feel. He doesn't hold her back and treats her normally, making extra effort to help her see life and the world around them. But then comes his overprotective nature that throws her for a loop and she doesn't know if she can move past it. After an accident where she thought she lost the love of her life, they both agree to work on moving past their own issues to allow for their HEA to happen the way it should...Together! 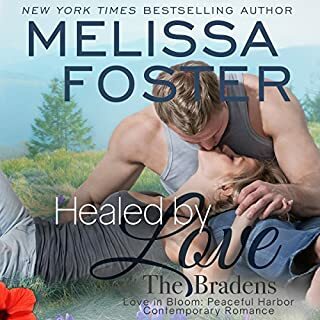 Touched by Love is book six in the Love in Bloom: The Remingtons series. Of all the books I have read or listened to lately, this one is by far the most powerful. The story felt so real, the emotions so potent. I enjoyed listening to this narrator, and I absolutely loved this story. I HIGHLY recommend it. I have been waiting for this book to come out for a while. Melissa Foster did not disappoint! This story makes you see love in a different light. It is very raw and emotional. Boyd suffered a horrible tragedy as a child and has carried guilt from that ever since. He has secrets that he has kept bottled up never telling a soul. Then along come Janie. Janie was born with a degenerative eye disease that has left her blind but very independent. Tragedy strikes when she falls and gets hurt relying on the help of Boyd to help her do simple tasks and maneuver around while she heals. Sparks being to fly and Janie and Boyd begin to help each other heal from the eternal and external pain they both endure. BJ Harrison is the narrator and once again he hits it out of the park. He tells it in a way that you are able to invision how Janie sees the world. You will not be disappointed in this home run of a story. 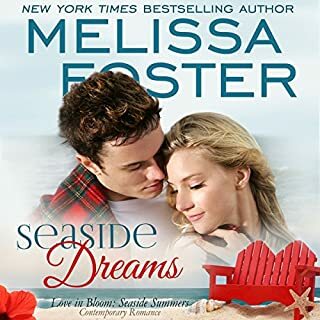 Just when you think Melissa Foster can't top her last book.....she does! Touched by Love it such a wonderful book, a type that I haven't read before. Janie is blind and fiercely independent. She's in an accident that leaves her unable to care for herself, the way that she wants. Boyd is a coworker who happens to be there when the accident happened. He steps in and helps Janie when she's down. As the days pass you can see their friendship growing into something more. I truly read this book in one setting because I just could not put it down! The compassion and chemistry Boyd and Janie have is wonderful. I cannot wait to see what else Melissa has in store for us!! B.J.Harrison is a wonderful narrator. He brings the characters and this book to life. I always enjoy listening to him. This was such a great book not only did I enjoy reading it but listening to it was so much better. I quickly fell in love with Boyd...really who wouldn't. BJ Harrison has such a way with his characters that he transports you to a new world every time. It makes listening to his melodic narration so easy with his sweet voice. This book was new in that it touched on blindness and that isn't really something we always feel comfortable with. However, this book makes it a non-issue and Janie tries to prove her independence throughout the story. Literally, I just loved this storyline, it was different from the others in all the right ways. This is definitely not a book to miss, where the guy meet-cute revolves around him rescuing her in a moment of need and our girl tries to resist him but, attraction is attraction and love sneaks up on even the most hesitant. Don't miss out in this one there's just so much to love! Just when I thought the last book I read of the Remington series was my favorite, then the next one comes along making me question which is in my top spot. That's how good this series is. That's how good Boyd and Janie were both as individual people and as a couple. As individuals they made me love their strength, compassion, drive to achieve personal goals, and what good people they were overall. As a couple I loved the friends to lovers feel, the way they joked with each other and the way they were just so in tune with one another. BJ Harrison continues to give a great performance. He has brought such life to these characters with every book and has that soothing kind of voice that you just have no issues listening to for hours. 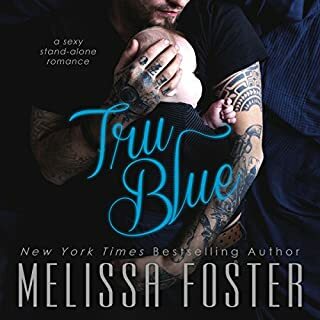 I have loved everything I've read or listened to by Melissa Foster so far and cannot wait to get more. I just listened to the audio version of Touched By Love. It is so much better then I remembered. The narration by BJ Harrison is wonderful. I listed to the audio wile driving to and from work. It makes the time in traffic bearable. I am such huge a Melissa fan. She writes such amazing stories. So much so I do not read the book descriptions any longer so I don't really know what the books are about. Touches by Love is an amazing story. Melissa's male characters are always smoking hot, Boyd being no exception. He totally stands by Janie. That's said, let's talk about Janie, she is the hero of this story. She is most amazing, funny and has to be one of the strongest and most confident woman Melissa has written. I read every chance I had and would miss the characters when I had to put the book down. This story has taught me not to take the small stuff for granted. I was unsure how I would feel listening to this story as I am completely blind in one eye and only have center vision in my other eye. At times I was pushed back in time to when I lost my vision and the anxiety it caused. Yet at other times, I saw the strength and determination we have for our independence and what really keeps us going. Lord knows I had to chuckle and commiserate with Janie when she was dealing with her parents. I know how frustrating it is to have overprotective parents who treat you like you're an invalid. I'm blind, not deaf, dumb, mute and missing multiple limbs. But how do you explain to them they are smothering you? I felt Mr Harrison did a nice job conveying the emotional side of Janie. Her fear and anxiety. Her frustration. Her need for independence and to be treated like anyone else. But mostly, her anger when she wasn't. It's hard to understand how we feel if you haven't experienced blindness in any form. We are still normal people that just need more verbal cues instead of visual cues. This story reminds us all that life goes on after tragedy. The story of Boyd and Janie, is beautiful and touching. Janie is blind and trying to prove to everyone, including her parents, that it is not something that can hold her back. Boyd is fireman, with dreams of becoming a Doctor and is close to achieving his goal. When an accident threatens to change Janie's life and restrict her independence, for the first time she realises that she has to accept the help offered to her by Boyd. As they spend more time together, feelings deepen forcing Boyd to deal with some pain in his past he's been trying to keep hidden. The voice of B. J. Harrison is very smooth and makes the experience of listening to the book, more enjoyable. If you could sum up Touched by Love in three words, what would they be? What other book might you compare Touched by Love to, and why? Slope of love! Because it has another determined strong woman who doesn’t think she needs help, but finds it’s ok to lean on someone. Another great book from Melissa. Great that Janie is a strong independent woman and not made out to be a victim of her blindness.